If you spend much time on Facebook or Tumblr, you’ll eventually have the urge to create a meme. It’s at that very moment that you need… a reliable meme maker. This list forever put to rest the mad scramble to find the right meme generating tool when that epic idea pops into your head. These all do essentially the same things, allow you to create and save a quick meme image with your own text overlayed. They all typically feature user submitted memes to inspire you to greater heights of creativity. In fact, it’s possible that all of these were built on the same script, maybe even one of these. Don’t know what a meme is? Read on, you will. Warning, some of the memes on these sites may be offensive. MemeGenerator ‘s simplicity and ease of use will have your meme up and running fast. Just choose a meme image and put a top and/or bottom caption and you’re done. The only extra is the ability to upload to imgur. 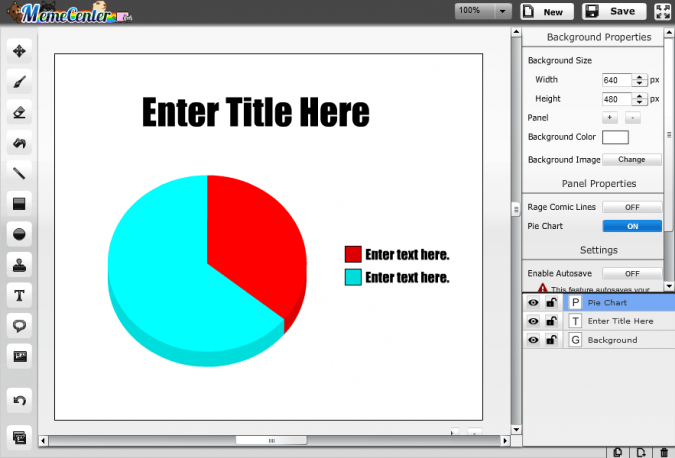 MemeMaker.net carries on the simple tradition but adds ability to manually change fonts. You can add a ton of captions, too. All caps is the default. MemeCrunch like MemeMaker, let’s you control the size of your text easily. It also let’s you determine the case. It’s the only one I saw that had an app version (hmm… doing this while the wife shops might be a way to alleviate the boredom). With quickmeme, you start getting the ability to adjust not just caption sizes and case, but also styles and alignment. Besides all caps heavy text, you get to use a few styles of comic and serif fonts in black or white. All caps plus a border seems to be the most common meme text style. 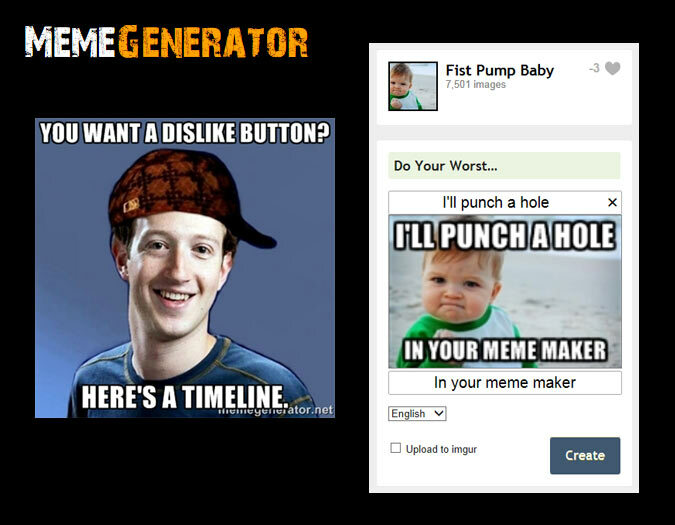 MemeCenter MemeBuilder is the most serious and feature-rich of all. In fact, with all the Photoshop-like editing capabilities, it’s something of an overkill for creating a typical meme. However, you can create your own memes with their selection of cartoon faces. It can also do a quick meme-styled caption over popular meme images. Getting the coolest meme-making tools listed here is ongoing. I plan to update this post with the best that I find, starting with the simplest to the more complex-featured. Now, go make a meme and tell me about it! Thanks, I’m still learning my way around and there are always new memes to have fun with. Technically these are image macros (the generators, and the resultant images by association); a meme is an idea that replicates by being spread between minds, often in a viral way. The word was coined by Richard Dawkins in his book ‘The Selfish Gene’, and was meant to rhyme with ‘gene’ (because as the gene is the unit of hereditary information, the meme is the unit of cultural information). 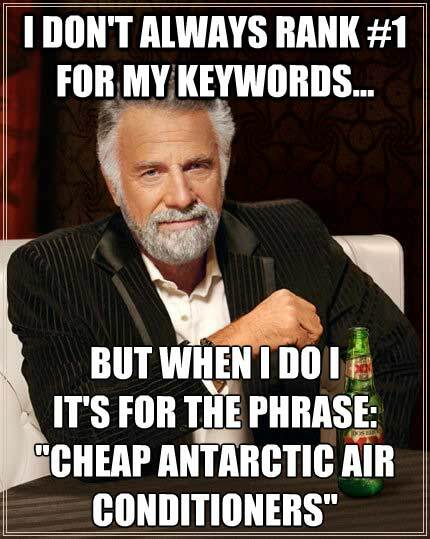 However, since image macros are a popular example of a meme, the word often gets used to refer to them. Great list of meme generators. This is definitely a great niche to be in with all of social sharing activity out there! Zac, it was lots of fun to write. Thanks for dropping by! 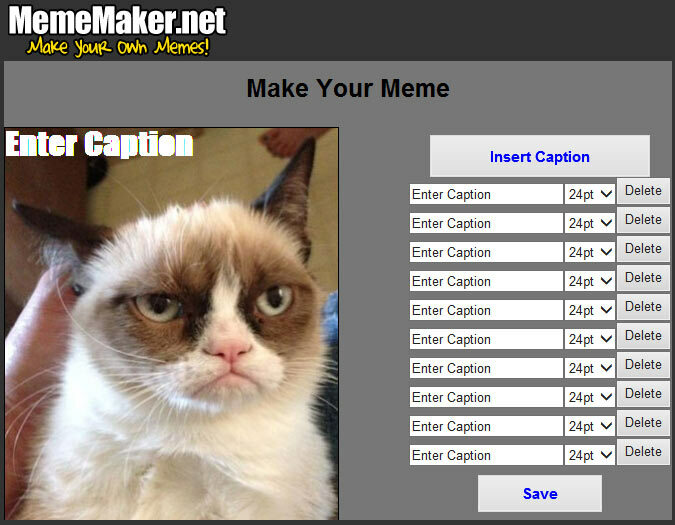 Memecenter has a Gifmaker and quickmeme tool. 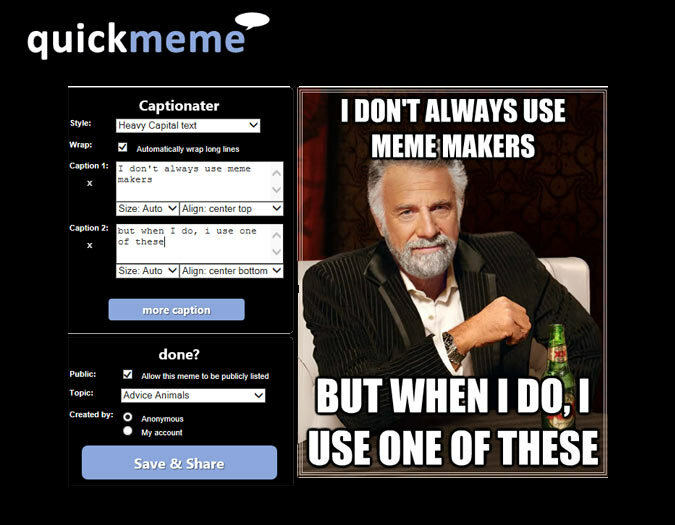 Quickmeme is similar to other sites’ tools, you can create in less than a minute. 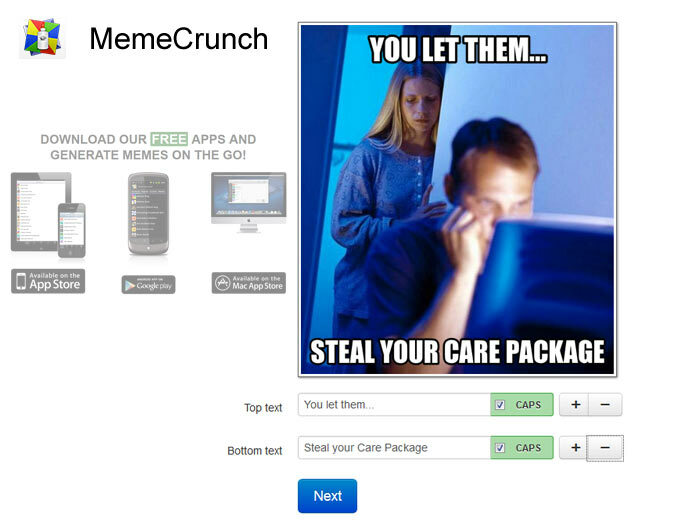 Memebuilder is for all needs, rage comics, captions, posters, charts etc.. 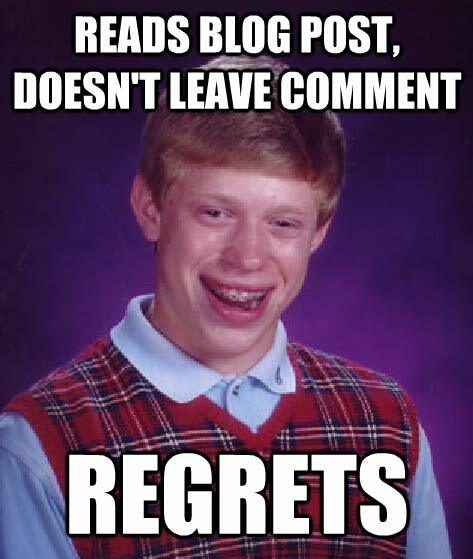 It is not an overkill, if you want to create a simple bad luck brian caption you should use quickmeme tool on memecenter. Gifmaker is simply better than any desktop gif maker software. Haha, love it love it love it! Have to say I have always wondered where these come from – as the people on my FB timeline certainly don’t have the capacity to create a PSD! Daniel, I was surprised to find so many generator-type tools out there. I’m guessing you’re right about the UK thing. Apparently the “calm” meme originates from a WWII poster? Happy meming!